From amid the widespread adulation that La La Land has been receiving since its festival premiere, a chorus of dissent has emerged, accusing the film of everything from superficial nostalgia to subpar singing to racism. 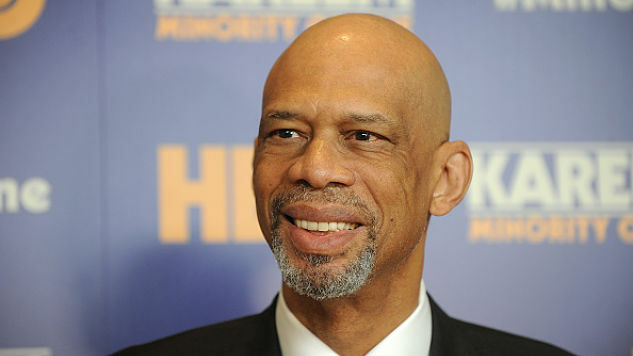 Now, NBA legend and culture critic Kareem Abdul-Jabbar has cast his voice in the ring by penning a Hollywood Reporter op-ed criticizing what he sees as the film’s problematic treatment of both race and romance. The issue that Abdul-Jabbar takes with La La Land’s racial politics is the same one that many before him have already pointed out—namely, that the film allegedly depicts a white man trying heroically to save jazz while his black counterpart sells out to the demands of the contemporary music market. Abdul-Jabbar makes the important observation that, the problem isn’t so much that the black character is presented in a negative light as it is the fact that this character is the only prominent black figure in the film. According to Abdul-Jabbar, this unflattering portrayal of the African-American man reinforces the kind of bigotry historically perpetuated by the vilification and debasement of marginalized peoples on our nation’s screens. Moreover, what is even more “distasteful” about this situation, per Abdul-Jabbar and the many critics with whom he is in accord, is that the thing the white man is supposedly saving had its origins in the black community. Thus, as the argument goes, the white character is not only presented as being morally superior to the black character, but achieves his aggrandized status using the latter’s culture. On La La Land’s portrayal of romance, Abdul-Jabbar is equally vehement. His fight rests not with the film’s depiction of careerism sidelining love—which happens often in real life—but with the way the movie romanticizes this lack of happy endings. He faults the film for making the “crash and burn” look attractive, for imparting chic to the phenomenon of appearing “tragically edgy.” Seeing unfulfilled romance portrayed so fashionably could, he argues, lead people to justify their inability to find real love. On top of all this, he adds that love and career should not be presented as mutually exclusive. Abdul-Jabbar makes good points and presents a strong case for treating art as enacting real and powerful consequences in the world. That said, there are, perhaps, ways in which one could contend with several of Abdul-Jabbar’s arguments, such as in questioning whether John Legend’s Keith is really portrayed as being a sell-out in La La Land (maybe the characterization is more complex and ambivalent than that? ), or in positing that the film isn’t so much insisting on a worldview where romance and careerism are incompatible as counteracting the myth of happy endings perpetuated with far more frequency by countless past films. Regardless, Abdul-Jabbar’s piece is definitely worth a read, and discussion is most certainly encouraged. You can find it over on THR.